Want to put your favorite DVD movies to your iPhone so that you can enjoy the DVD movies on-the-go only to find the DVD is not supported by any Apple devices? Being disappointed? 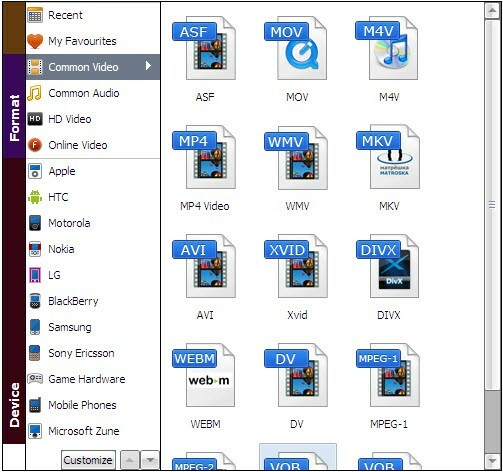 Looking for ways to convert DVD to M4V for iPhone, iPad, iPod, etc.? Here we go. As we know, most portable devices don't have the DVD drive for DVD playback and Apple devices are no exemption. To play DVD movies on iPhone, iPad, iPod, etc., you need to rip DVD to M4V, a format that is highly compatible with Apple products. To finish the conversion, a DVD ripping program is needed. Here Aimersoft DVD Ripper, the best DVD ripper software, is recommended to help you finish the task efficiently with high output video quality in Windows (Windows 8 included). If you're using a Mac, just turn to the equivalent Mac tool called Aimersoft DVD Ripper for Mac to rip DVD movies to M4V on Mac OS X (Mountain Lion). Download the program below and follow the tips to convert DVD movies to M4V with ease. Note that here we take DVD Ripper for Windows to show you how to rip M4V videos from DVDs in Windows (Windows 8). The way to do the conversion on Mac is the same. Just make sure you've downloaded the right version and follow the intuitive interface to get your work done in clicks. Insert the DVD disc into your DVD-ROM and click Load DVD to browse and select the DVD to add. DVD folder, ISO file and IFO file are also well supported. After the files are loaded, you can preview them in the right and take snapshots of your favorite movie scenes. From the drop-down list of "Profile" you can choose M4V as the output format, then click "Output" to select a folder to save the converted M4V videos. If you want to play the converted M4V videos on your iPhone, iPad, iPod, etc., you can go to Apple and select the model of your device to get videos with optimized settings for your device. When all necessary settings are finished, click Start to convert your DVD movie. The conversion time depends on the size of the DVD you are converting with this movie ripper. After the conversion is done, you can easily find the converted M4V files on your computer by clicking Find Target. Now just enjoy your movies! I used this program and all it does is allow you to watch the DVD. It does not have the chapter and menu. Sorry to make any inconvenience. To your case, I suggest you to contact our support team to get professional technical guidance. The audio doesn't sync with the video. Depending on the settings it's either slightly off or really off, but I can't get it to match 100%. I try to keep the settings as close to original as possible. Is there anything that I'm missing? Hi, that's probably because the output audio file with the trial version is limited to 3 minutes. You can get rid of this with the purchased version. I used the free trail and it did work great, but the audio is completely out of sync! Does the audio and video sync up on the purchased download? Hi, is the Windows DVD Ripper compatible with Windows 8? I've just upgraded my Computer to Windows 8 and wonder whether your program will work on my new system. My first reaction after reading this article was Oh-My-God, this was what I was looking for and it was because of you, that I was able to find it. I love movies and always wanted to watch them on my Mac-book, but somehow wasn’t able to. This DVD ripper software works so fast and tends to keep the original print as well, which I really liked it. Thank you for sharing this article!